Not all leaders are the same. From the tone they take with their direct reports to the degree of project involvement they prefer, there are as many types of leaders as there are personalities. However, there is one type that is remarkably brilliant, charismatic and driven. A self-starter and problem solver by nature, this leader excels with challenges and has the powerful ability to get things moving quickly. While extremely beneficial to any company focusing on immediate growth, they may prove to be amongst the most difficult — especially if they trample on people’s emotions in the interest of obtaining results. Such toxic leaders are often depicted as bullies, schemers, untrustworthy and insensitive. Simply put, they’re jerks that often leave a trail of undermined, demoralized and dis-empowered employees. Are you dealing with a bright but difficult leader? Does he/she have destructive behaviors and dysfunctional personal characteristics that generate enduring poisonous effects on those they lead? Is there drastic turnover, an increase in absenteeism and more stress-related illness amongst subordinates? Does he/she pit people against each other and/or create an atmosphere of fear around speaking up? Are employees spending unproductive time cleaning up emotional messes after meetings with him/her? If you’ve answered yes to any of the above, you’re dealing with a destructive commanding presence. These domineering leaders may have proved they can deliver results in the short-term or even medium term. Perhaps offering business solutions that nobody had the capability to come up with before. Many call them visionaries, while others call them delusional. Brilliant but abrasive leaders are a liability for any company. Although they may achieve results, their cost outweighs their benefit. When not managed properly, these leaders cause suffering to the workplace and are a detriment to the company’s long-term success. Although with any behavior, there’s usually an underlying cause that triggers it. An extensive body of research details the effects these leaders’ behaviors have on their victims. But what motivates these difficult leaders, and how they might be steered toward more positive ways of interacting with others, is less well understood. Can anything be done to sustain their productivity but change their abrasive leadership style? Can such a person transform from a jerk into a strong, effective leader? Whether you are an executive coach, a human resource professional, a manager or an employee, there are many resources available to help you work more effectively with difficult leaders. The key is to remember that there are complex processes at work in these leaders’ minds. Once you tap into their motivation, you will feel more empowered to forge a productive and cooperative relationships with the difficult people you presently encounter in your professional life. 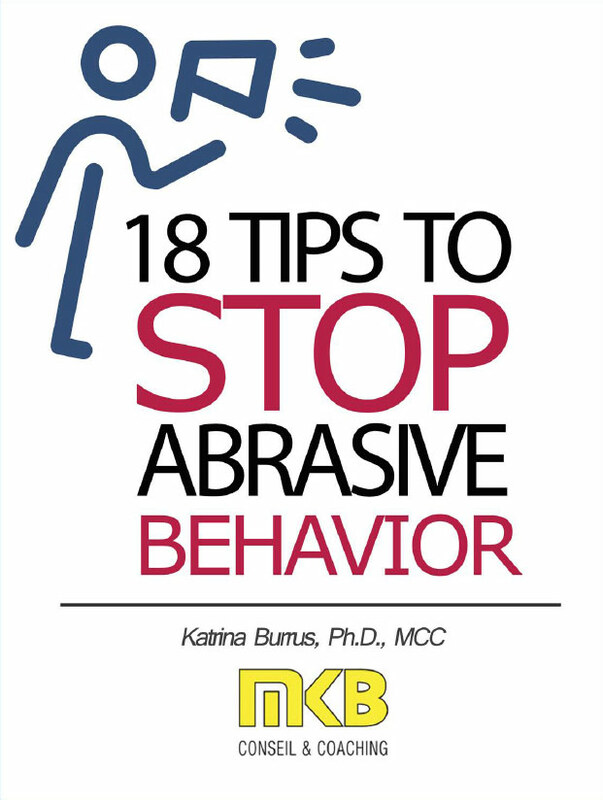 If you are dealing with a bright and difficult leader and need immediate additional resources, go to www.excellentexecutivecoaching.com for a free copy of “18 Tips to Stop Abrasive Behavior,” as well as access to a variety of podcast and video episodes on the topic.